This book discusses the role of the trickster figure in contemporary film against the cultural imperatives and social issues of modernity and postmodernity, and argues that cinematic tricksters always reflect psychological, economic and social change in society. It covers a range of films, from Charlie Chaplin's classics such as Modern Times (1936) and The Great Dictator (1940) to contemporary comedies and dramas with 'trickster actors' such as Jim Carrey, Sacha Baron-Cohen, Andy Kaufman and Jack Nicholson. The Trickster in Contemporary Film offers a fresh perspective on the trickster figure not only in cinema but in Western culture in general. Alongside original film analyses, it touches upon a number of psychosocial issues including sovereignty of the individual, tricksterish qualities of the media, and human relationships in the mercurial digital age. Further topics of discussion include: common motifs in trickster narratives the trickster and personal relationships gonzo-trickster and the art of comic insurrection. Employing a number of complementary approaches such as Jungian psychology, film semiotics, narrative structure theories, Victor Turner's concept of liminality and Mikhail Bakhtin's theory of the carnivalesque, this book is essential reading for students and scholars of film, as well as anyone with an interest in analytical psychology and wider critical issues in contemporary culture. 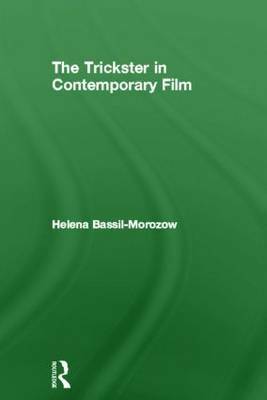 Buy The Trickster in Contemporary Film by Helena Bassil-Morozow from Australia's Online Independent Bookstore, Boomerang Books. Helena Bassil-Morozow has been teaching Film, Drama and Literature in various further education institutions and in private practice for over seven years. Currently she is an honorary research fellow of the Research Institute for Media Art and Design, University of Bedfordshire. She is the author of Tim Burton: The Monster and the Crowd (Routledge, 2010).